The home of numerous historic sites, North Carolina contains many antique buildings that have played a key role in the development of the state. Taking a tour of these individual spots is a fantastic way to take a peek into the state’s past and learn more about its founding fathers and significant events. One of the most prestigious historic sites in North Carolina is the 1767 Chowan County Courthouse in Edenton, NC. This beautifully preserved landmark is perfect for a day trip; being the oldest government building in the state, this ancient courthouse is a key highlight of the popular Historic Edenton Tour. Learn all about the old Chowan County Courthouse and make plans to visit while you’re exploring the many historical attractions of North Carolina. Listed on the official U.S. National Register of Historic Places, the Chowan County Courthouse has been in use ever since its establishment in 1767. This elegant, Georgian-styled building, complete with bell tower, has hosted countless judges and even a president and a prince! 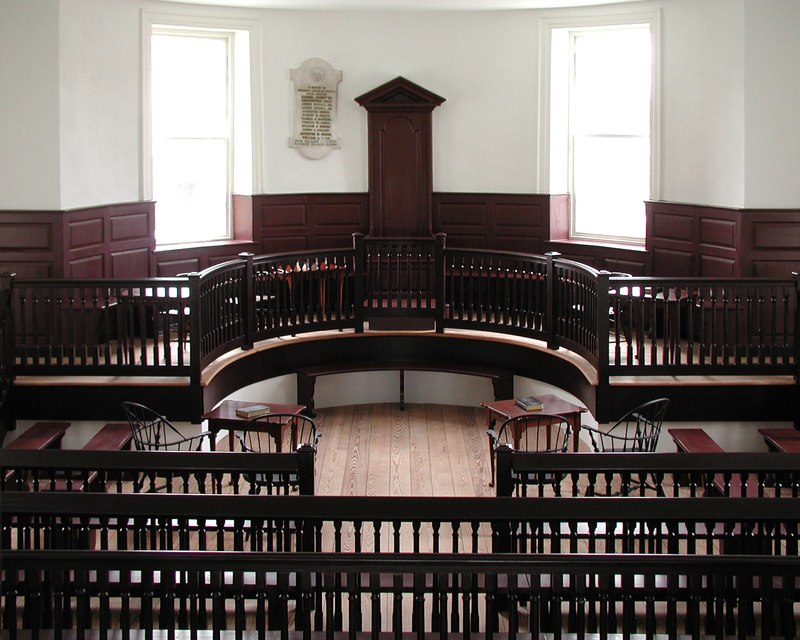 This courthouse was commissioned by Joseph Hewes, one of the signers of the Declaration of Independence. The architect behind this magnificent monument is unknown, but most believe it was likely John Hawks, an 18th-century architect who is also credited with building the Tryon Palace in New Bern, SC. 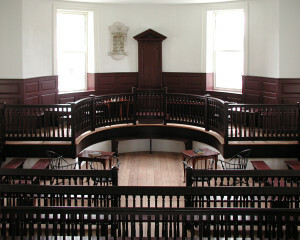 Many momentous events happened right here in this courthouse over the years, such as a meeting between Edenton’s political leaders during the American Revolution. The Chowan County Courthouse address is 117 East King Street in Edenton, NC; this is one of the stops on the beloved Historic Edenton Trolley Tour, a favorite pastime of both locals and visitors alike. 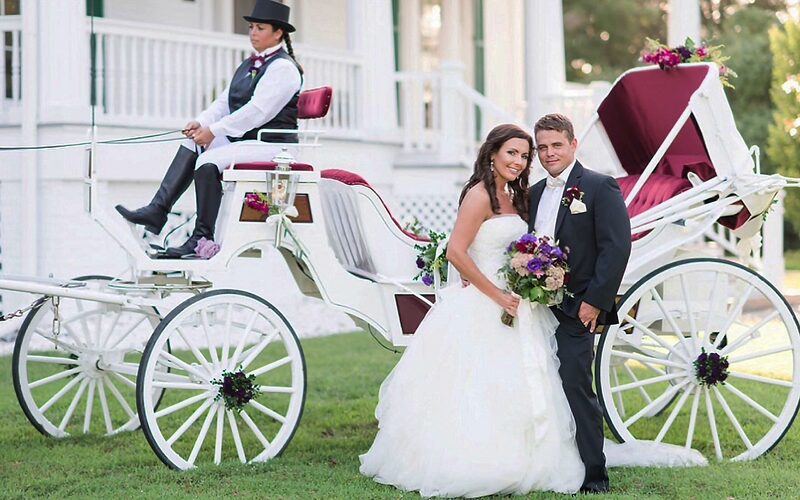 Hop on this antique trolley at the Penelope Barker House Welcome Center to see some of Edenton’s finest attractions, such as the Edenton Cotton Mill and other buildings located in the historic district. You’ll also be able to see this landmark during a Historic Albemarle Tour as well, another intriguing and educational experience in North Carolina. To visit more of the fascinating historic sites in Edenton, NC, stop by the Cupola House, Roanoke River Lighthouse, and the Somerset Plantation! Come Stay with Us at Inner Banks Inn Bed and Breakfast! 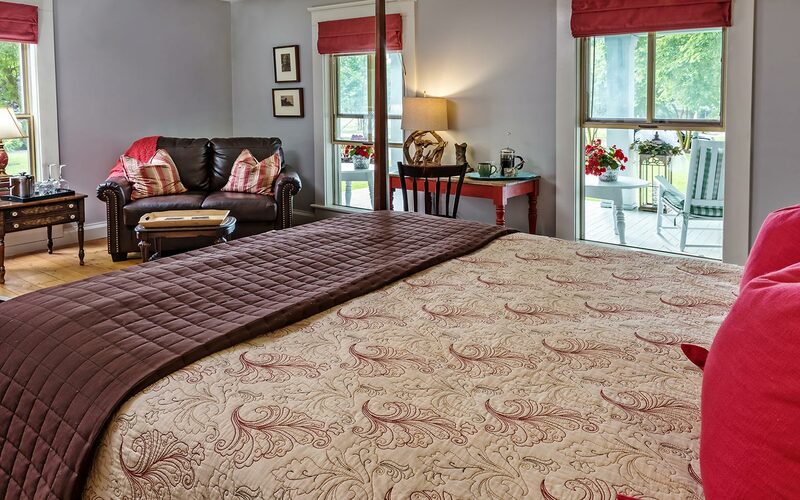 Treat yourself to stay in the most luxurious lodging while you’re visiting historic North Carolina by booking a room at the Inner Banks Inn Bed and Breakfast in Edenton, NC! 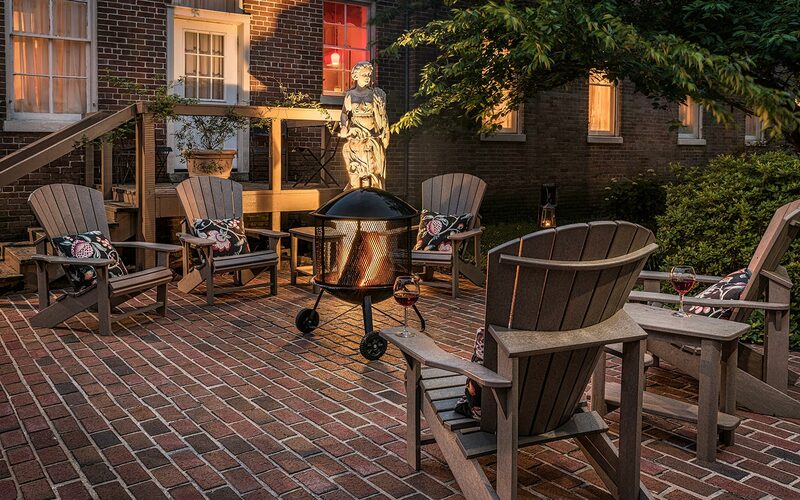 Our picturesque property is also a part of North Carolina’s history; we have two historic homes on our grounds, filled with gorgeous rooms, each one equipped with the finest amenities. There are countless things to do in this area; stroll to the nearby waterfront or downtown Edenton or simply spend some time relaxing in our peaceful environment. We even have our own restaurant, The Table, for you to enjoy an amazing meal with your special someone. Don’t hesitate- start planning a trip to the South that you’ll never forget!